Also, the coverage of sea ice in the Arctic and Antarctic regions hit record monthly lows. 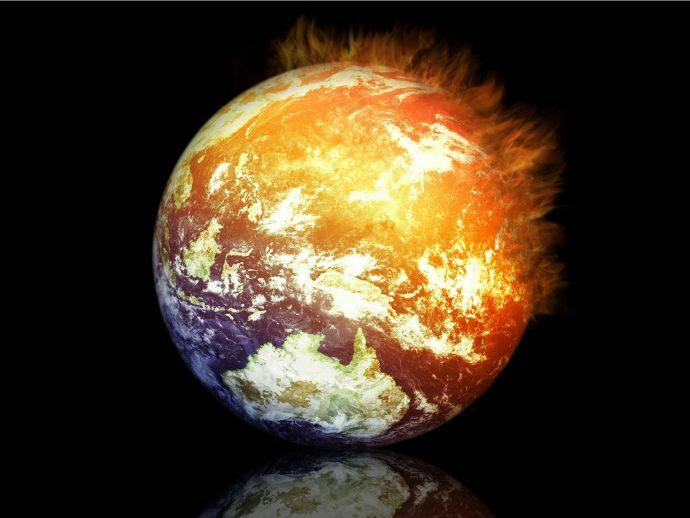 As stated earlier, NASA and NOAA confirmed that 2016 was the hottest year since the record-keeping started in 1880. 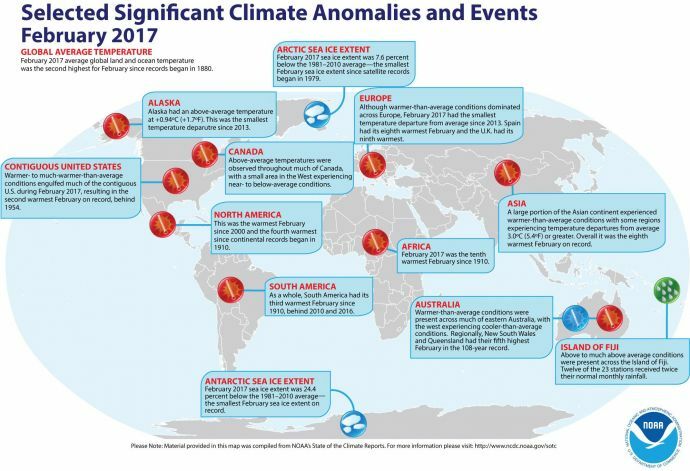 In addition to that, NASA and the National Oceanic and Atmospheric Administration (NOAA) have recently reported that last month was Earth’s second-hottest February on record since 1880 (i.e. almost 137 years). At the same time, Arctic and Antarctic sea ice coverage were also record-low. The average global temperature in February 2017 was 1.76 degrees Fahrenheit above the 20th century average of 53.9 degrees, according to NOAA's National Centres for Environmental Information. Only warmer February than this year’s, was just last year, in 2016, when the temperature recorded was an astounding 2.43 degrees Fahrenheit above average, said NOAA. Not only this year’s February month was the second warmest, but it was also the fourth warmest month in recorded history. According to the reports submitted by NOAA, the global average temperature from December 2016 to February 2017 was 1.60 degrees F above the 20th century average of 53.8 degrees F. This was the second warmest for this season, the first being from December 2015 to February 2016. Moreover, the first two months of this year also landed in second place. The year-to-date average temperature for January through February 2017 was 1.69 degrees Fahrenheit above average, just one spot below the first two months of 2016. But this extreme warmth of January and February of this year can give 2017 a shot at becoming the planet’s fourth consecutive warmest year on record. 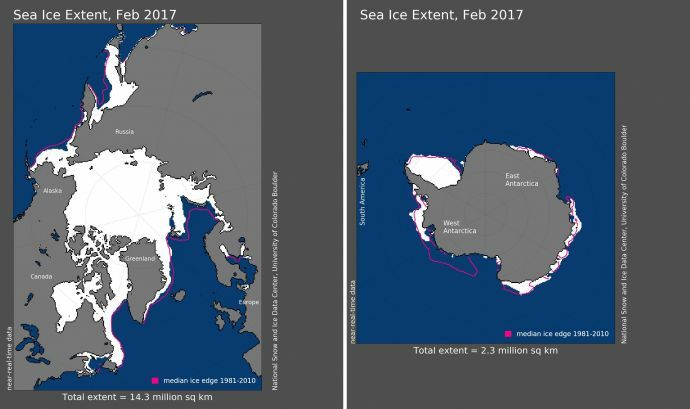 Furthermore, both the Arctic and Antarctic seas recorded the smallest February sea ice coverage since the satellite recordings began in 1979, according to NOAA data analysed by the Rutgers Global Snow Lab. The average sea ice coverage in the arctic region was 7.6 percent below the 1981-2010 average for February, as per reports by the US climate agency. Whereas, in the Antarctic region, the average sea ice extent was 24.4 percent below average.